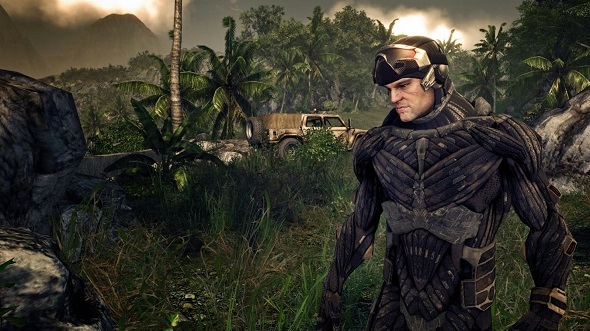 The direct descendant of 1997’s muscle-obsessed male character design can be found in 2007’s Crysis. Nomad and his squad are equipped with nanosuits, which give them the appearance of a kind of cyborg adonis, the rope-like textures of their attire mimicking a bodybuilder’s shredded physique. If you take any stock in the idea that unrealistic body images in entertainment media can negatively affect your own self-esteem, it is hard to whoop and holler about this one, but Crytek do deserve credit for creating such an immediately recognisable character design. It only takes a glimpse of that red visor looking back past his enormous armoured deltoids to know which series you are dealing with. Make sure you don’t miss the first part of this three-part series in which we examine the character design of 1997’s games. Nomad himself is white under the suit, but his commanding officer Prophet is black. Along with Staff Sgt. Griggs and Lt. Vasquez in Call of Duty: Modern Warfare, also released in 2007, Prophet is an indication that, although depictions of men are still steroidal during this time, they are at least occasionally non-white. Well, if you look beyond the protagonists. 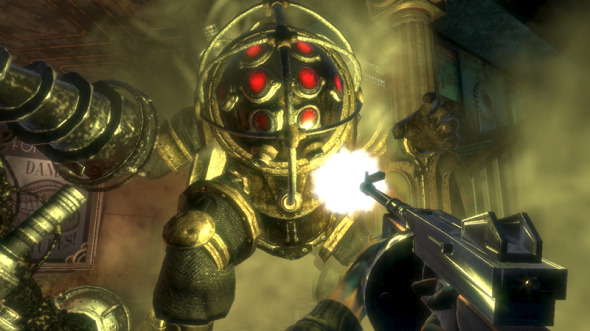 BioShock offers a different take on the fusion of man and machine with its Big Daddies. Unlike Crysis, the result of genetic splicing produces a distinctly non-aspirational visual image in the Big Daddy’s design. His appearance under the diving helmet is purposely ambiguous, but it is implied that whatever lies beneath the suit is not a pretty sight. Despite coming into existence through such unusual circumstances – unregulated biological experiments on the ocean floor – the Big Daddy shows plenty of recognisable tropes: those exaggerated boots, the huge fists, the weaponised arm. Despite all this powerful imagery, their relationship with Rapture’s Little Sisters subverts a lot of the macho behaviour you might expect from a game character who looks like this. Big Daddies lollop around, moaning pathetically when they cannot find a little sister, and never act assertively but instead are always reactionary enemies. With the record now secured for ‘longest time spent discussing 2007 in gaming without mentioning The Orange Box’, let’s now turn our attention to The Orange Box. In it are three titles with iconic, masterfully-designed characters, each of them fulfilling the different demands of their respective games. 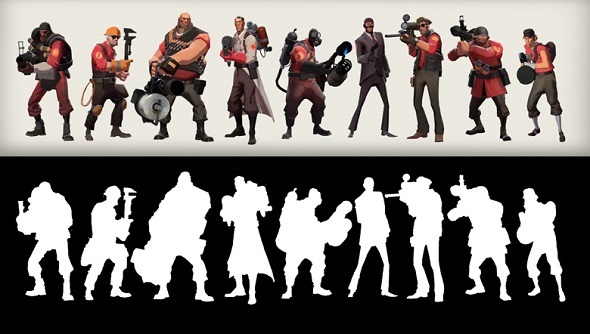 Team Fortress 2’s roster is a gallery of distinctive silhouettes, designed by necessity to be identifiable in a heartbeat. You need to know whether that’s a Pyro or a Sniper you are aiming at in the heat of battle, after all. More than that, Valve imbued an impressive amount of personality into each class using just a handful of voiced lines and gestures – an approach that has now been copied verbatim so many times elsewhere (Overwatch, most recently) that it seems the agreed upon foundation for a whole genre, the ‘hero shooter’. What Valve probably did not anticipate at the time was that, by establishing such strong characters in a game, which players would build an affinity for over time, they created an appetite for visual customisation that still cannot be satiated or over-commodified in 2017. We are coming close to that point with the Loot Box Backlash, of course, but it has taken a while to get here. 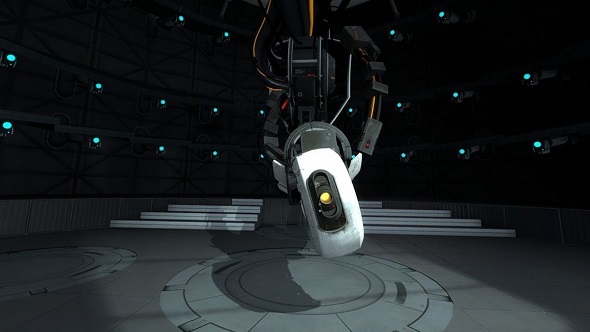 Half-Life 2’s episodes, however, have the advantage of building on established characters and doing so within an experience that allows downtime and expository dialogue. Being universally lauded as one of gaming’s best ever series, almost all its recognisable characters are understandably beloved. It is Alyx Vance who sticks out the most from the experience though, as your near-constant companion. Generally regarded as a well-written female character, she is unusual – especially among games at the time – for dressing sensibly, having lots of lines, and frequent opportunities to demonstrate her usefulness. She is also a non-white, mixed race deuteragonist, which is slightly less rare in 1997 than now, due in part to the rise of the Grand Theft Auto series. However, her coquettish behaviour on your first meeting establishes a romantic premise to the relationship. Have you ever said, “I’m sure you don’t remember me” while pushing your hair behind your ear to someone? Could you imagine doing that with someone for whom your feelings were entirely platonic, and whom you regarded as an equal? 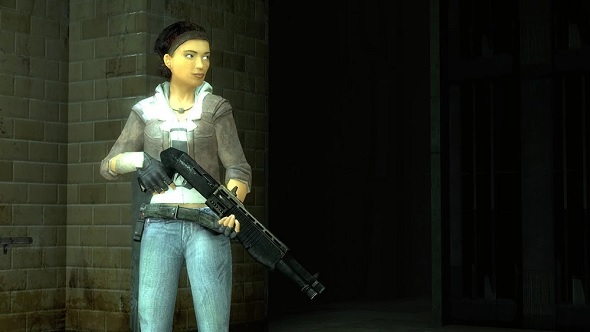 Whatever Valve’s intentions with Alyx, she was one of the most human characters to appear in a game by that point thanks to the Source engine’s capacity for facial animations, and Merle Dandridge’s brilliant voice acting performance. 2007 has one other major item of interest to offer on this character design journey. Mass Effect offered players the chance to play through its weighty and romance-filled campaign as either a male or female version of Commander Shepard. This in itself was not anything new for RPGs, which had been offering different genders in character creation screens for decades. It was the conviction with which BioWare realised both incarnations of Shepard that struck a chord. Voice actors Jennifer Hale and Mark Meer both delivered powerful and charismatic performances in the recording booth, even when faced with the impossible task of voicing flirtatious chitchat with a Quarian. 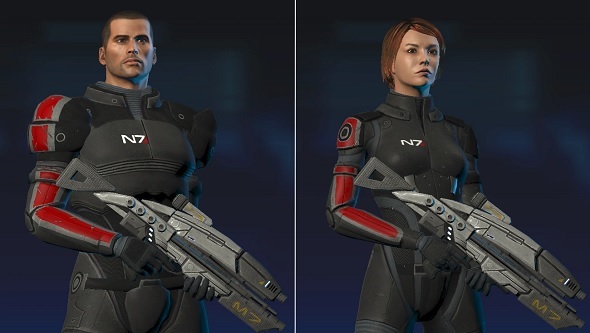 Any gender could be played as a variety of ethnicities using the character creator, but the unfortunate tendency of the game engine to render faces that were not scanned from photographs as misshapen potatoes did encourage the use of default (white) male and female Shepard. In the final part of this three-part series, which will be published tomorrow, we’ll take a look at modern character design, which means time spent with Morgan Yu, Chloe Price, and Tracer.